We're going to say it again (actually we are going to scream it from the roof of our warehouse) ---- Domaine de Poulvarel is one of the finest wineries for price/quality ratio we have EVER found on our European exploits, and they just keep giving us gorgeous, powerful, beautifully-made classic reds. 2016 in France (and much of Europe, actually), as you've undoubtedly heard from us...is a drop-dead, crazy-good vintage...this fantastic, gutsy, savory red is hard to believe at this price, period. This is THE BEST version of this wine we have tasted yet....what a jaw-droppingly killer mouthful of gorgeous red wine. 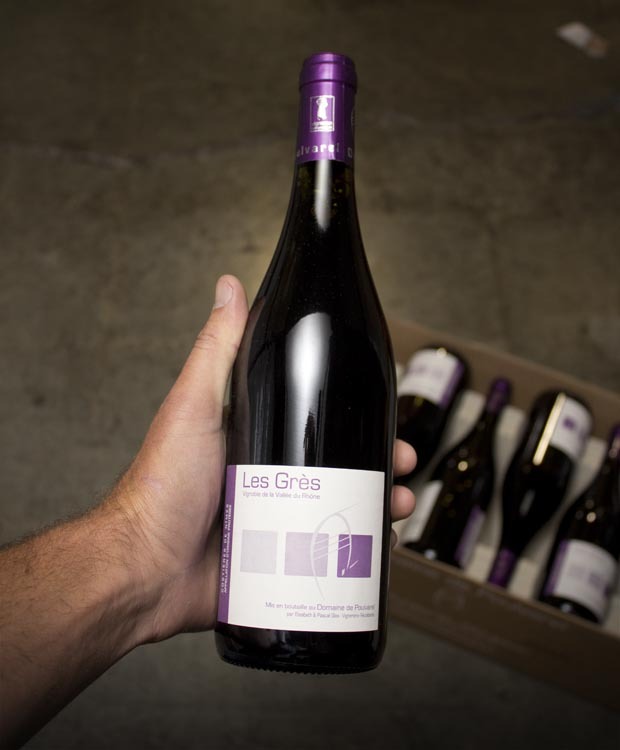 This bottling is a sort of beefed up Chateauneuf-du-Pape in style, with a wildly diverse basket of Mediterranean flavors....strawberry, tapenade, fennel, sweet spices and a big round, wild texture, with great freshness, verve and length. These are wines that just scream the taste of the land, the wind, and the people. Fantastic. Will hold a few years, too, if you’re not in a hurry. Trust your hyper-quality-focused wine merchant!! Poulvarel is officially organic since 2014, and as we noted, better than ever. We invite you, no we IMPLORE you, to taste this insane value for yourself, and then say: “I shoulda bought more….” While it lasts..!